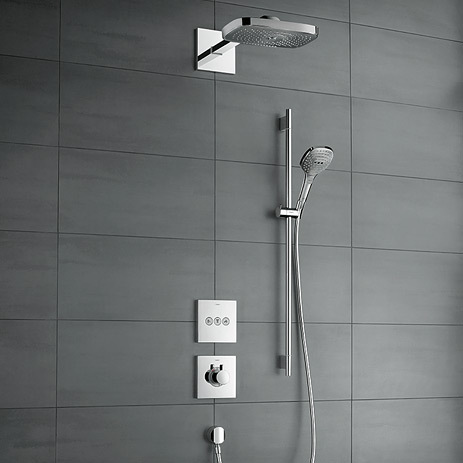 The new ShowerSelect pre-fab sets are concealed installation solutions which now also feature the Select technology. 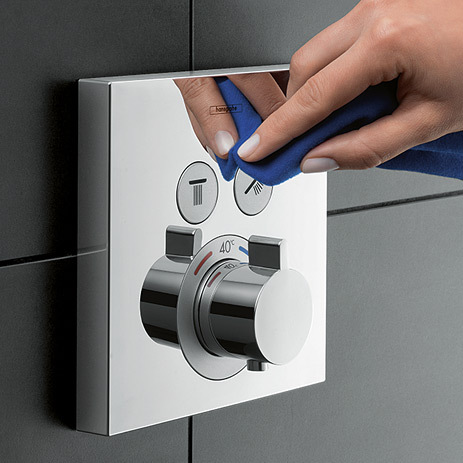 Switch consumers on and off or select jet types at the simple push of a button. 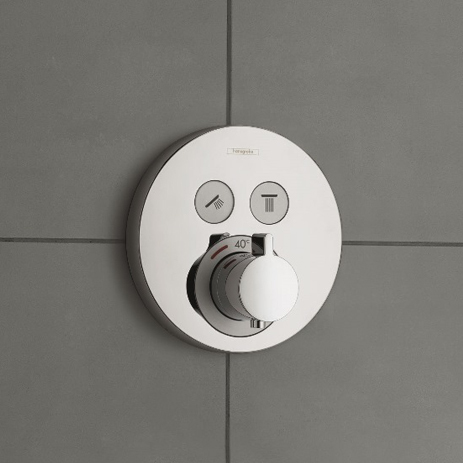 Control shower solutions for up to four consumers really easily using the new ShowerSelect prefabricated thermostat sets, based on the iBox universal. 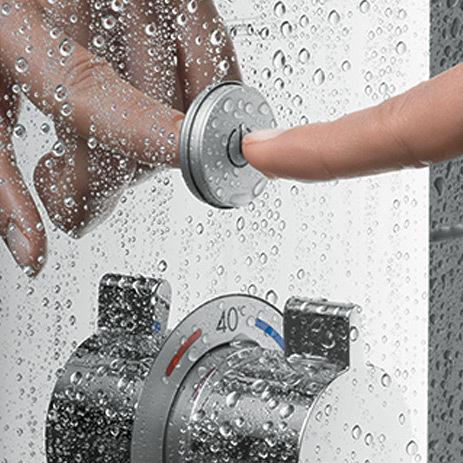 An impressive operating and design concept from Hansgrohe, which your customers will love. We supply top innovations which create customised visual highlights and are impressive thanks to first-class thermostat technology. 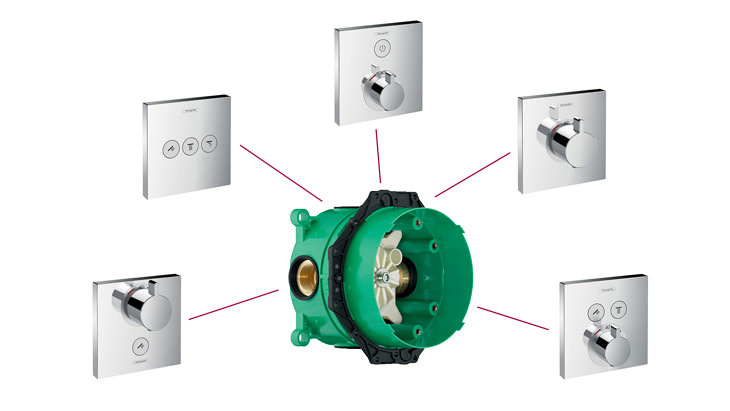 As a basic set, the Hansgrohe iBox universal is geared to all common installation systems, connection types and fittings. 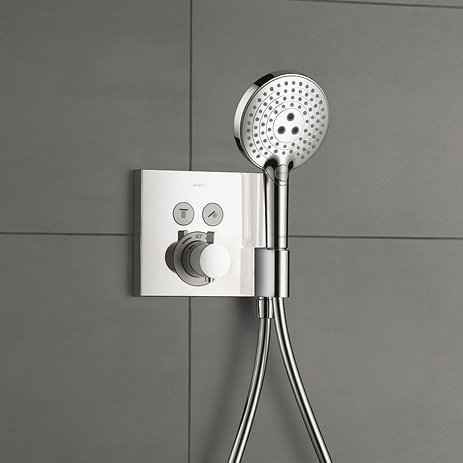 The multi-functional box accommodates more than 200 Hansgrohe and Axor pre-fab sets with 16 functional solutions. Installing the new concealed thermostats is easy: simply mount pre-fab sets onto the iBox universal. Bathrooms where the iBox universal is already in use are particularly easy to renovate: simply exchange the existing pre-fab set for the new one. 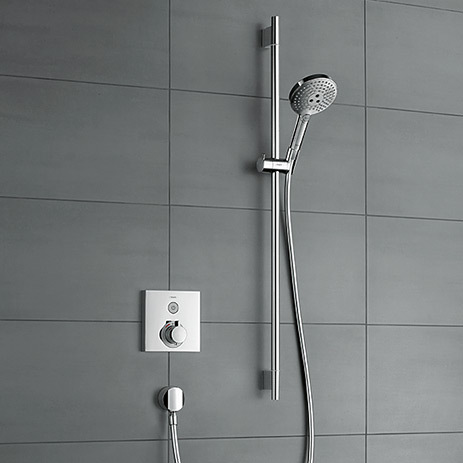 ShowerSelect pre-fab sets are unique products which have great potential for renovated bathrooms or completely new ones, and open up new target groups, offering you greater sales opportunities. 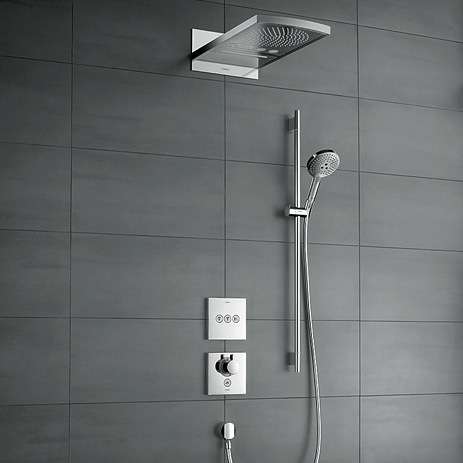 They can be universally combined with all Raindance and Raindance Select showers. 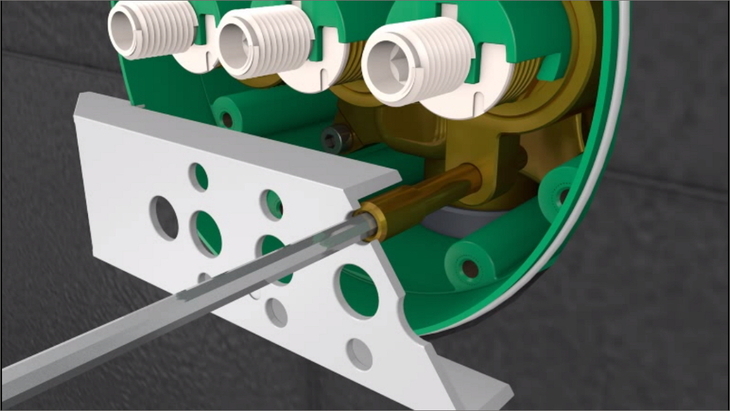 A complete range of products is available for a wide range of applications. 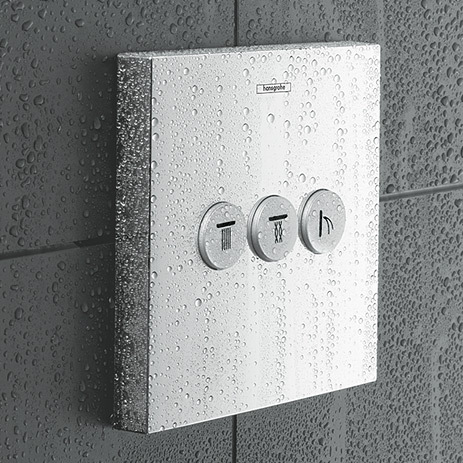 In 2013, Hansgrohe's new concealed thermostats won the Design Plus Award (for all solutions), organised by the German Design Council. 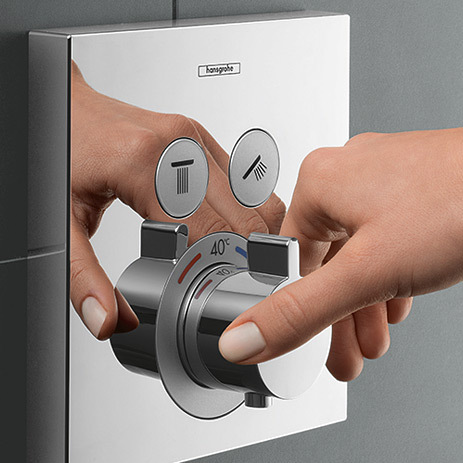 They also won the “Bathroom Design for All” Product Award, organised by the ZVSHK (German Central Association for Sanitation, Heating and Air Conditioning) for the two-consumer variants. The iF Product Award from the International Forum Design followed in 2014.